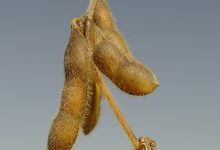 TACC (Texas Advanced Computing Center) has published a science highlight of the SoyKB project. Pegasus is used to orchestrate the computations running on TACC Wrangler and automatically retrieving and storing data in the CyVerse data store. Also highlighted is how the XSEDE ECSS (Extended Collaborative Support Service) can be used get scientific workflow support on XSEDE.